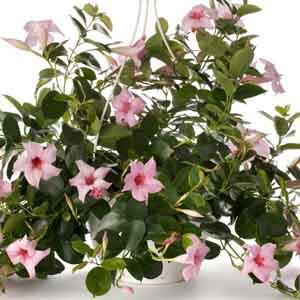 Stunning vine of bold, trumpet like blooms and glossy, dark green leaves. 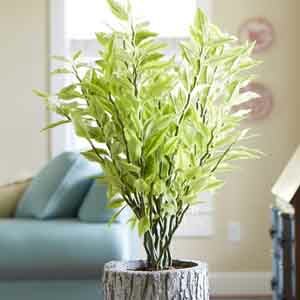 Perfect as an accent for entryways or bringing height and color to mixed foliage arrangements. Reduce watering in winter. 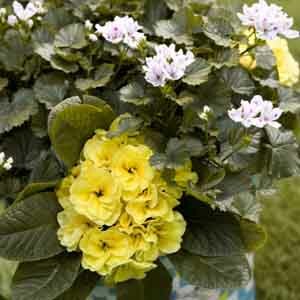 All of the charm and beauty of traditional Primroses but with twice the petals. The blooms are so lush they resemble little roses. Primroses are a welcome sight in the spring landscape. 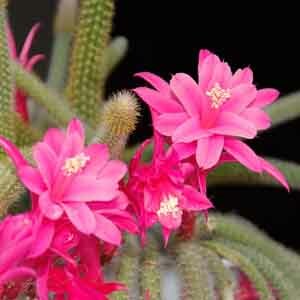 Their vivid colors and delicate fragrance are a promise that spring has really arrived! 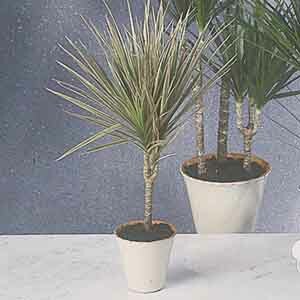 'Janet Craig' is a popular variety that is more tolerant of lower light levels and drier soil than other Dracaena. 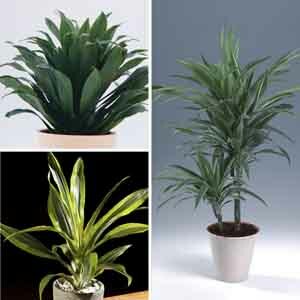 Its abundance of narrow, glossy green leaves makes it a top choice among houseplants for those seeking their air cleaning benefits. 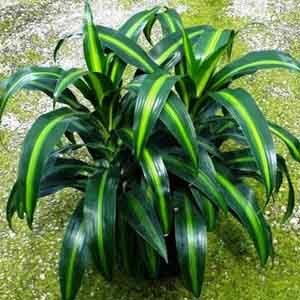 One of the most colorful Dracaena varieties available. 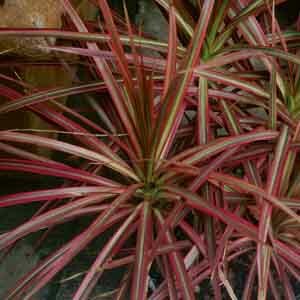 The red tinted foliage adds a decorative accent to any room. 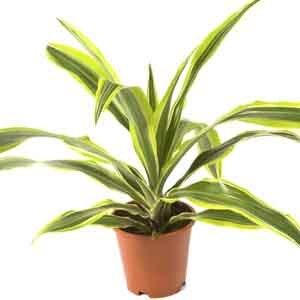 May be grown outdoors during frost-free weather. 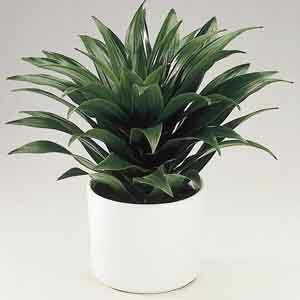 Use it as a potted plant, in the garden, or mixed with colorful annual plants in a large patio planter.